: The next time a source would deal damage to target creature this turn, that damage is dealt to Shaman en-Kor instead. Xynarth on Gishath? You said you have a Gishath? I love cleric tribal, I realize this is a jank deck but with some focus it can also be effective. I think the first trick is to synergize with your command and find clerics that can be sacrificed for gains the second is to find ways to drain their health quickly so you can focus on the first. 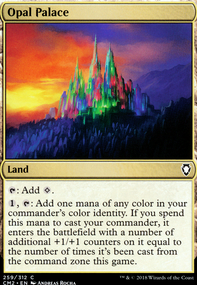 The best way to life drain is probably with Exsanguinate, Debt to the Deathless, Torment of Hailfire or similar spells so that your commanders to hand ability can be utilized. 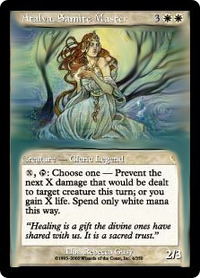 The next one is not quite so easy and needs tuning to make really good, but I would recommend clerics like Benevolent Bodyguard, Children of Korlis, Dark Supplicant with Scion of Darkness, Frontline Medic, Nova Cleric, Remorseful Cleric, Sanctum Guardian and Selfless Spirit for creatures that can be utilized well with your commander and as a bonus its flavorful to have fanatical priests dedicated to some grim god. Generally useful clerics matter cards would be Edgewalker, Ancestor's Prophet, Battletide Alchemist, Rotlung Reanimator and Whipgrass Entangler. A little combo for Starlit Sanctum is Daru Spiritualist + Shaman en-Kor to gain some arbitrarily high life total. 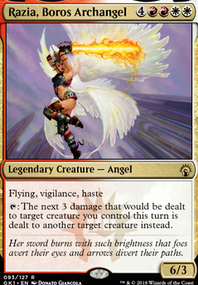 In tribe Card draw considerations are Tymna the Weaver, Bygone Bishop and Twilight Prophet. I don't know if you will continue to develop this but I would like to see your take on it as you evolve it. Wow, what a fantastic feedback, thanks! As you mentioned, I deliberately left out the Blood Combo (Exquisite Blood + Sanguine Bond. I don't plan to take the deck so far with winning combos yet. With that in mind, I'll probably leave Daru Spiritualist and Shaman en-Kor out as well. Those cards don't add anything when alone, I guess. And with the lack of tutors, they can easily be useless during the game. Had absolutely no idea that Lifeline was a card, will get that one for sure. For now, I'm playing Debtors' Knell. It's a lot slower, but will have to do it for now until I get the more powerful pieces. 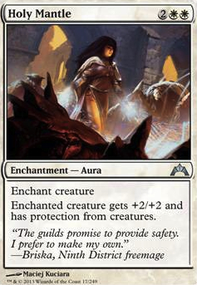 Love Beacon of Immortality, by playing Greed I can profit a lot from that. Patriarch's Bidding will be included for sure, as for Living End I'm playing Living Death instead. Again, thanks for your suggestions. Will adjust my list accordingly! 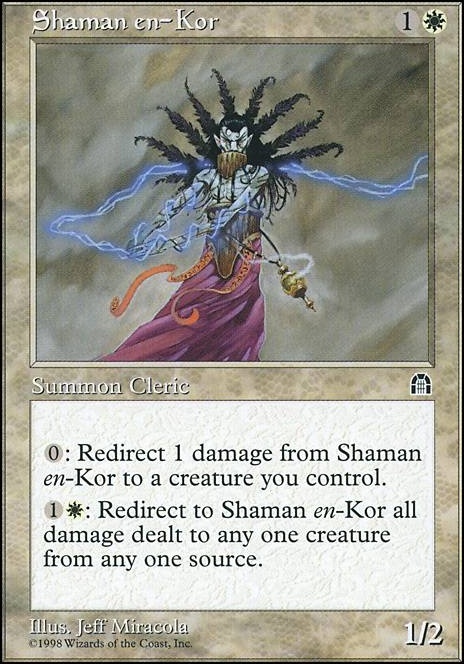 I'm going to find copies of Shaman en-Kor, that's a great suggestion. The instant speed ability versus sorcery speed ability is superior and keys the financial cost down. After having targeted a Cleric with Shaman en-Kor, while having Daru Spiritualist on the battlefield, you have a blocker with infinite toughness. But you you also get to have an “infinite” quantity of life with Starlit Sanctum and, with it, an attacker with infinite power thanks to Sunbond.